Chelsea had beaten Watford in a thrilling contest with a margin of 4-2 at Stamford Bridge on Saturday. Batshuayi’s brace was enough for the home side to pick up vital 3 points from the clash. Antonio Conte had decided to play with a 3-4-3 formation with Thibaut Courtois starting in Chelsea Goal. Antonio Rudiger, David Luiz and Gary Cahill had started as three central defenders. Cesar Azpilicueta and Marcos Alonso played as two wing-back players. Fabregas and Bakayoko had taken place in the heart of the Hazard and Pedro started at the wings along with Morata at the upfront for Chelsea. On the other hand, Watford also opted to play with 3-4-3 formation. Gomes started at Watford Goal. Kabasele, Mariappa and Britos started as three central defenders. Holebas and Femenia were the two wingbacks starting for them. Doucoure and Cleverley had featured in the heart of the midfield for Watford. Deeney , Richarlison and Pereyra were leading the line for Watford. Holebas was named at referee’s notebook at 12th minute of the match. Pedro’s shot from outside the box from the pass of Eden Hazard gave Chelsea the all Important lead in the match. Mariappa and Rudiger had been named in referee’s notebook also in the first half. At the last moment of first half Docoure’s goal had equalised the scoreline for Watford. The first half had ended with the score being level at 1-1 with all to play for in the second half. The goal at the last moment of the first half had changed the whole scenario of the perspective of the game. Watford started the second half on a better note. Bakayoko missed the ball at a vital position and Pereyra did not commit any mistake to score a goal from the pass of Richarlison at 49th minute of the match. Alvaro Morata was shown a yellow card at 56th minute of the match. He was not in form in this match and was subbed off at 60th minute of the match. 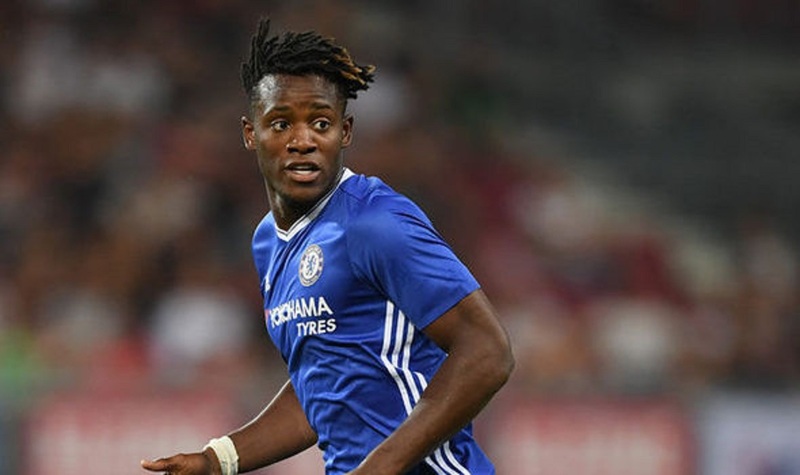 Michy Batshuayi came in place of him and had equalised the scoreline for Chelsea at 71st minute of the match. Azpilicueta’s header from Willian’s cross had given Chelsea the lead at 87th minute of the match. At the last moment of injury time, Michy Batshuayi got his second goal to secure the victory for Chelsea. The match had ended with a scoreline of 4-2 in favour of Chelsea. With this vital win Chelsea are now on the 4th position in the League Table with 16 points from the 9 encounters so far. Watford slipped to 5th position with 15 points from the same number of matches played.Chelsea will now play against Everton in the Carabao Cup on Wednesday night. Watford will now play against Stoke City on Saturday in the Premier League. It feels good when the team completes a great comeback and earns all three points from a game, after failing to do so in their last few games. The win and the way how they won it, will surely be a huge boost for the Londoners and hopefully they can keep performing in the same way in the upcoming fixtures. The gap between the west London outfit and the Premier League leaders is still 9 points and it will be tough work for Conte’s team to catch up to the Citizens, though they must if they wish to retain their title. Next articleMatch Preview : Chelsea All Set To Take On A Managerless Everton Side?